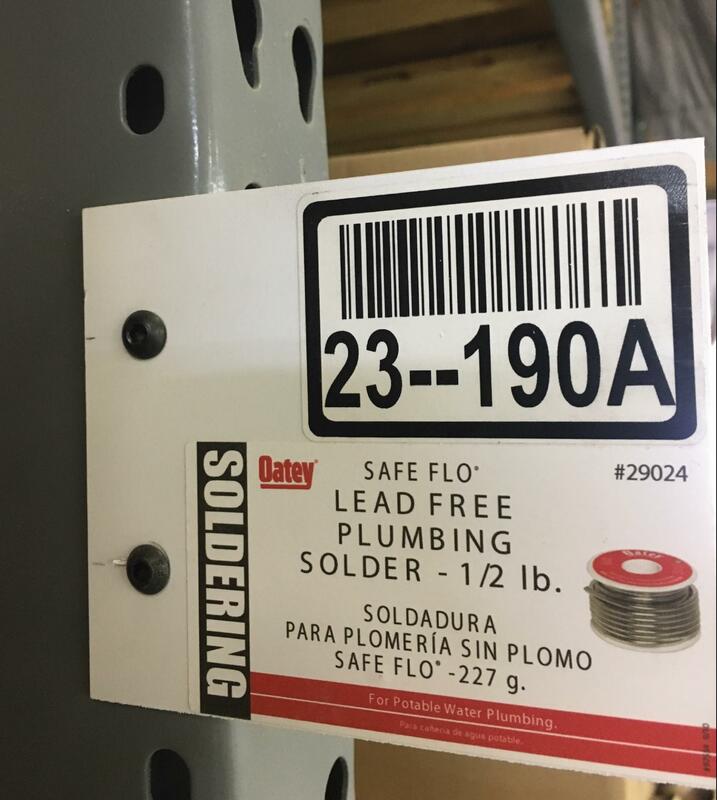 Aisle, rack and bin location IDs can be provided on rigid signs, magnets, reflective material or with special aggresive adhesive. All can be custom printed with your data base information. 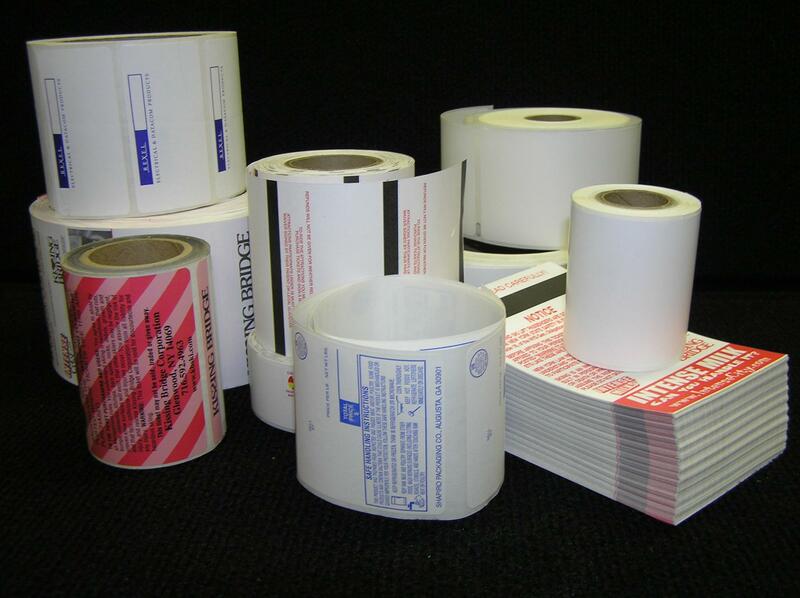 Sports or Events Tickets or passes thermal transfer or direct thermal-paper, film or tag materials-rolls or fanfolded. Printed on front, back or both sides. Consecutively numbered. Typical cores can add 5 to 25 cents per roll. 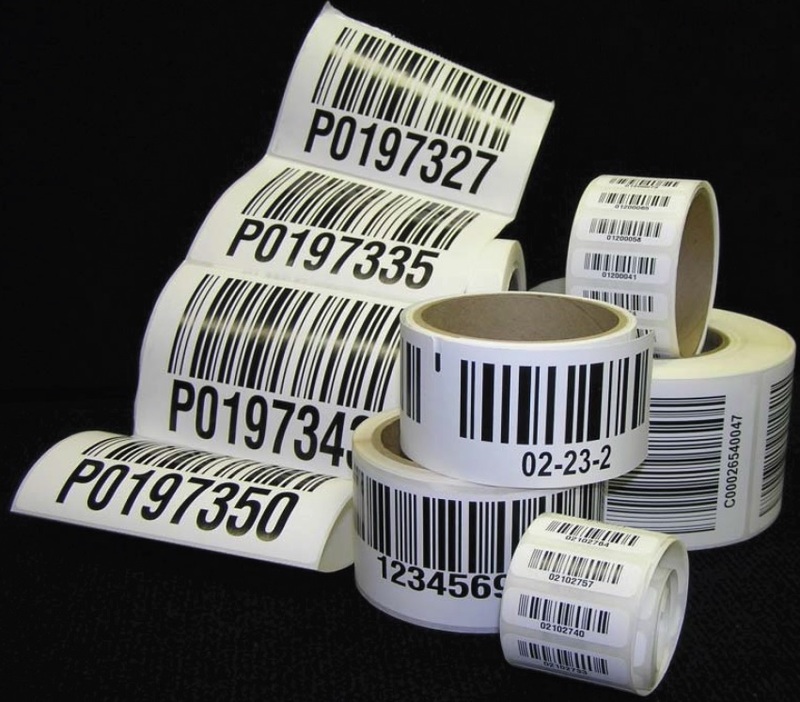 Labels can be provided coreless with 1" ID. At the end of the roll there is no core to dispose of. Rolls or fanfolded - Black bars or marks printed on back or notches cut in sides. Holes reinforced with clear film. 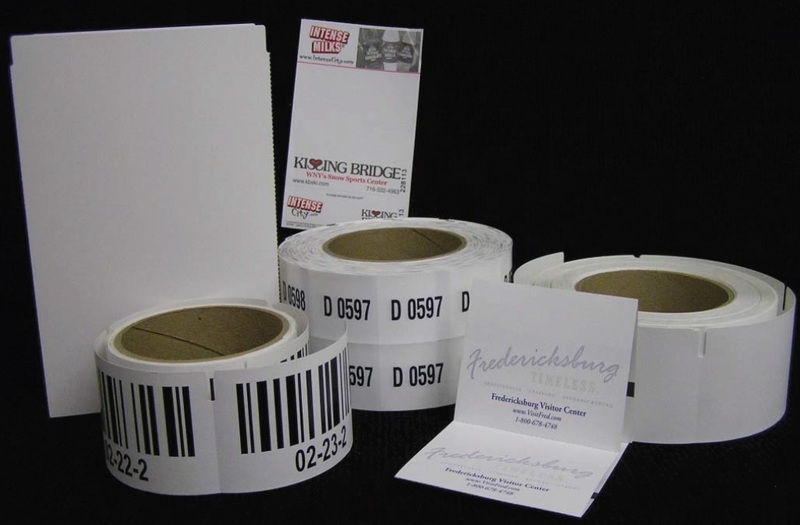 Unlimited label papers, films and adhesives. 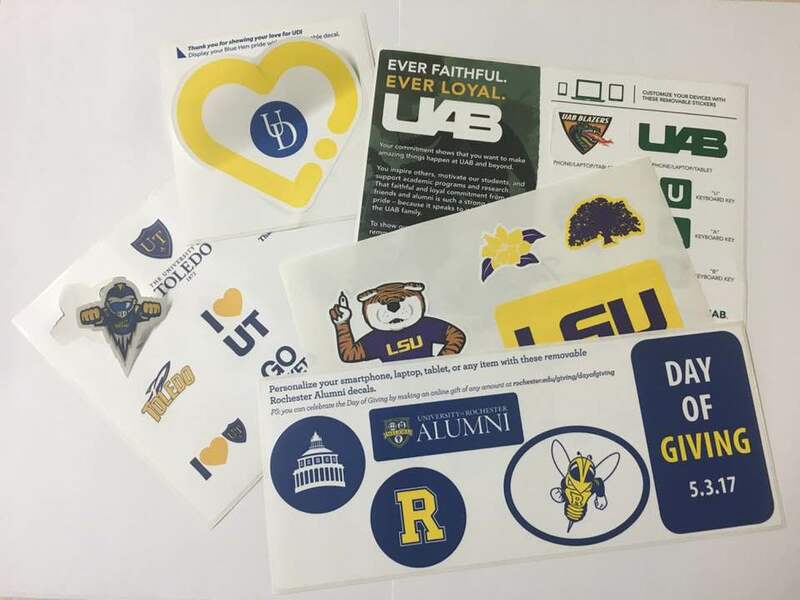 Use to show loyality to schools, clubs, sports teams, etc. Can be safty & cleanly removed from surfaces after months of use. Variety of labels on a single sheet for individual distribution.